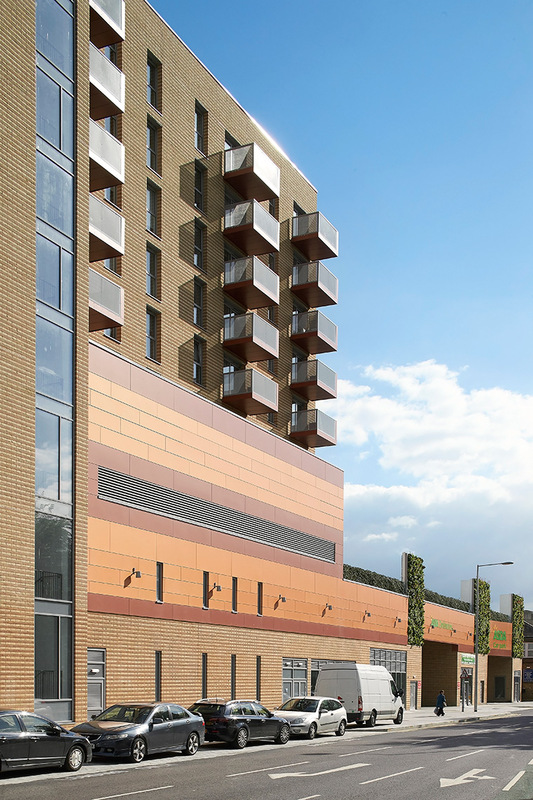 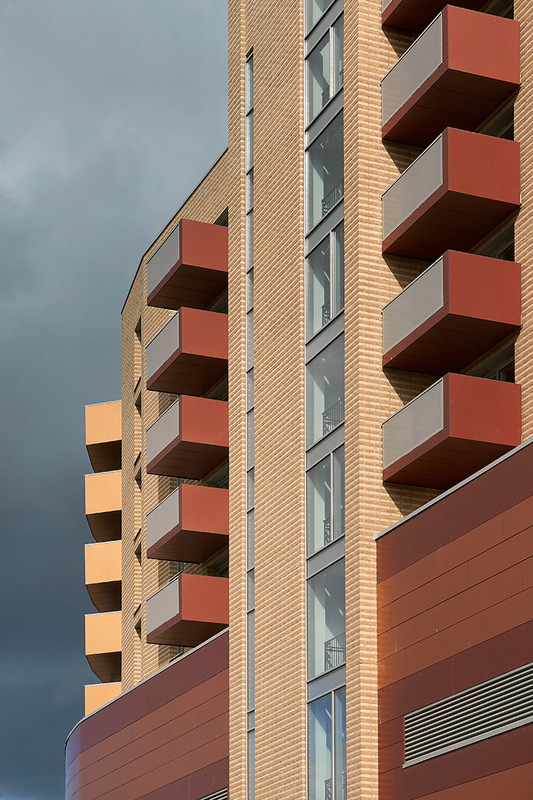 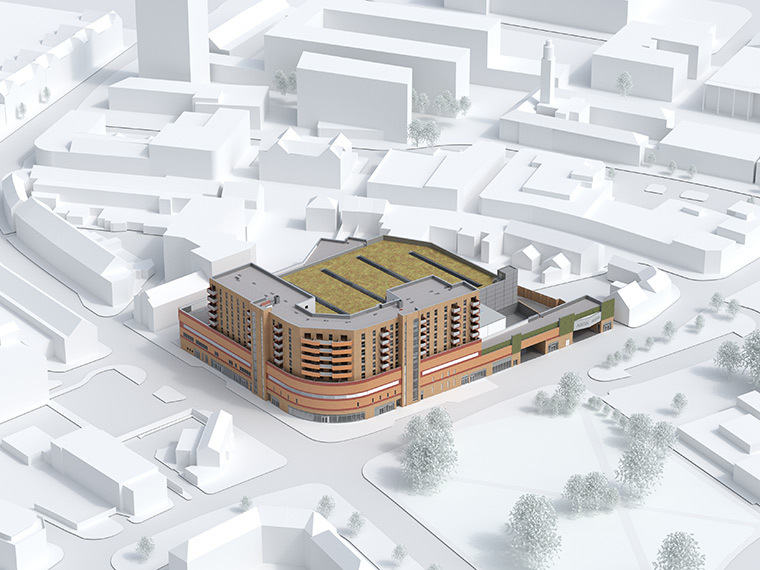 This large, mixed-use scheme on a prominent site in Barking Town Centre is a key part of the regeneration and rejuvenation works already undertaken by the London Borough of Barking and Dagenham. 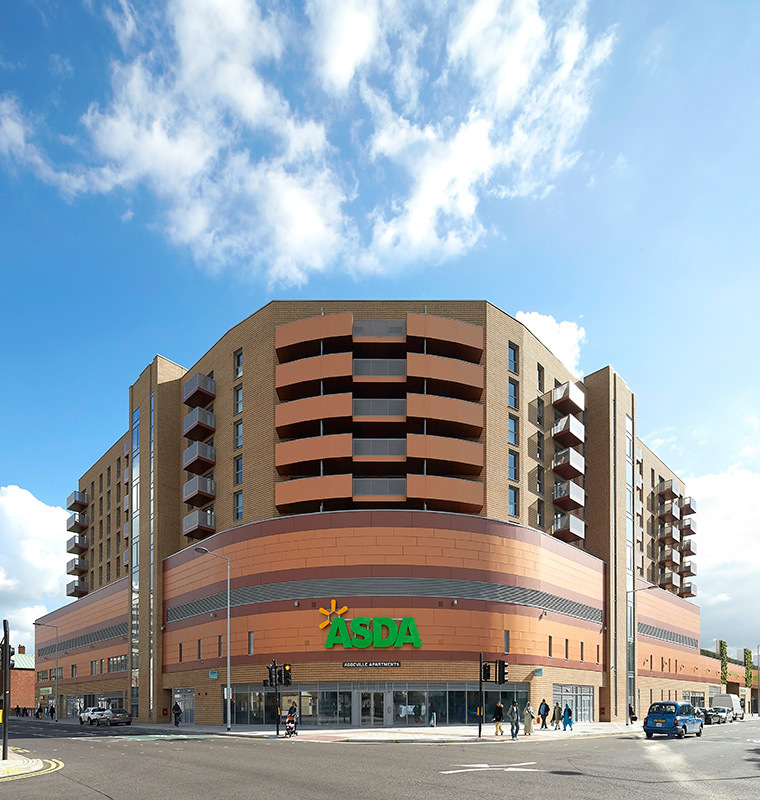 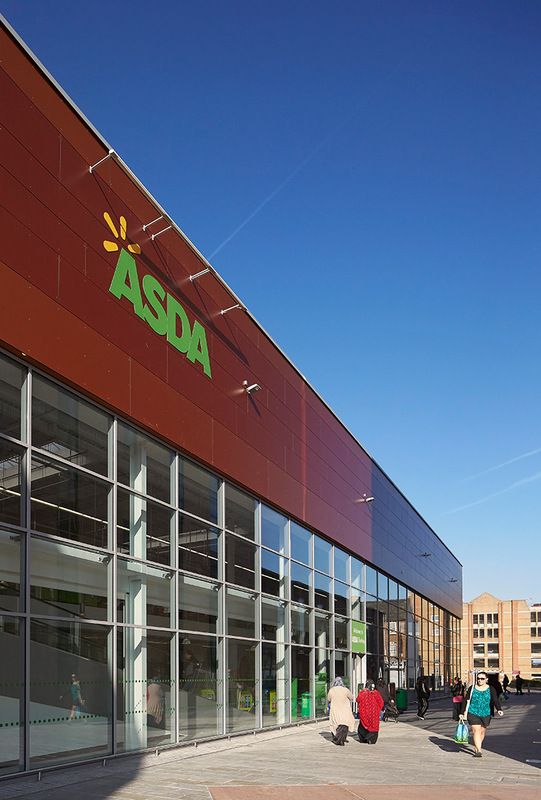 It includes a flagship store for Asda, customer café, smaller retail and business units, 100 PRS apartments for Grainger plc, 360 car parking spaces and landscaping, helping to form a new ‘market square’. 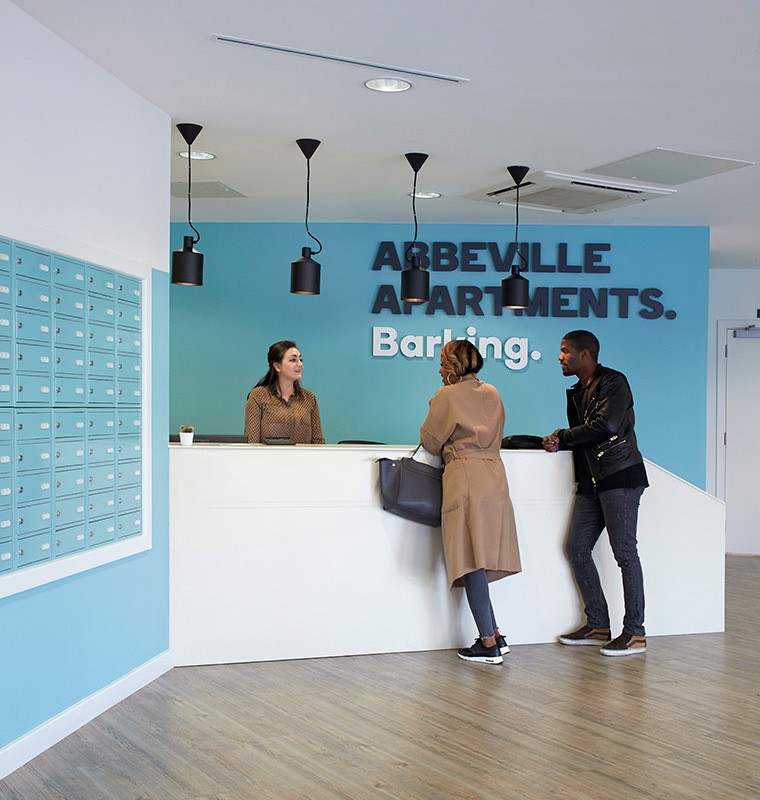 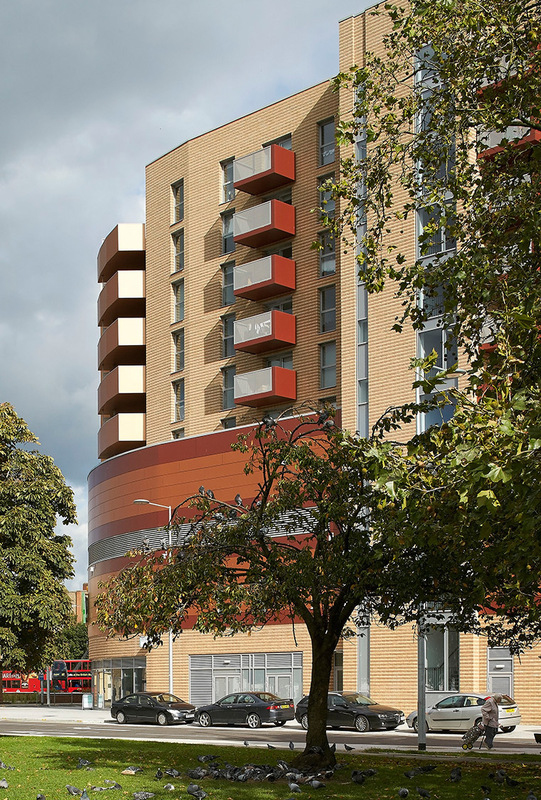 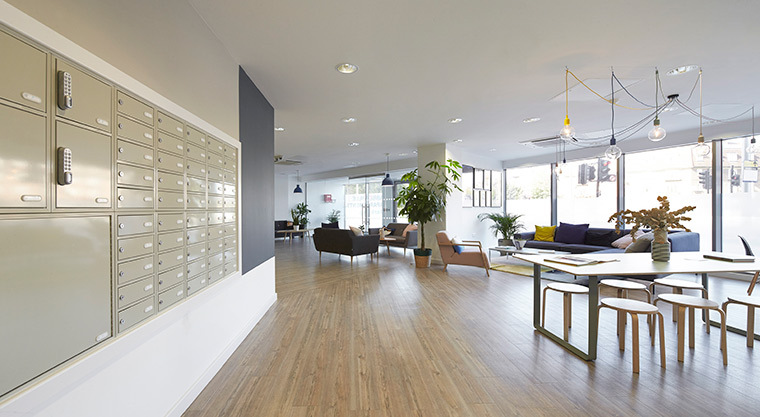 The apartments have private external spaces as well as a communal child-friendly garden deck. 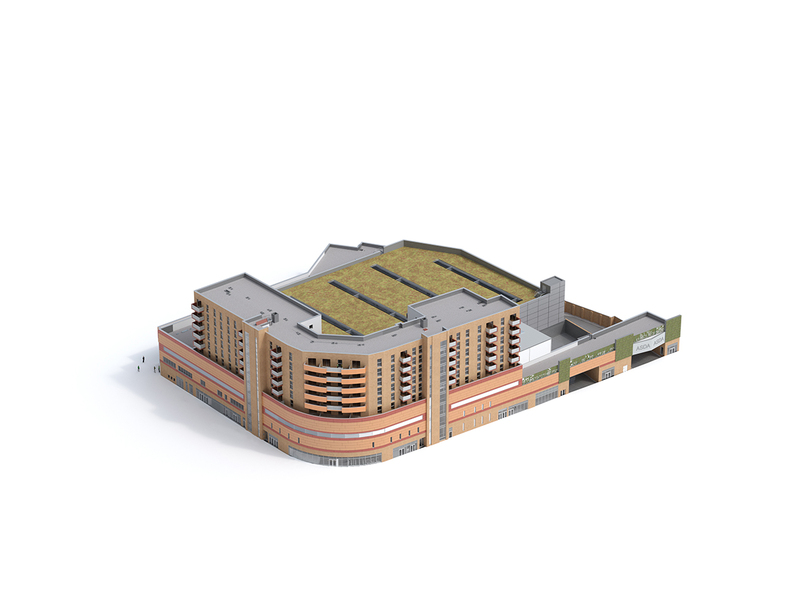 A green roof covers the main roof of the food store, seeded with wildflowers creating a ‘meadow’ effect, with roof lights providing natural light to the store below.